Until the 1970s, karst was considered by a variety of approaches, often not easily reconcilable. As a place of exploration, it was regarded as a set of pipes through which man and water could pass. Because it is generally an arid surface landscape, it was seen as a combination of forms resulting essentially from climatic actions. As a groundwater reservoir discharging to often spectacular springs, it was considered as a fractured or fissured aquifer medium, in which cavities play a negligible role. The approach to karst proposed by Alain Mangin was very innovative, because it was based on a hydrogeological and functional view of karst, and no longer on a geological and geomorphological view, which did not make it possible to prioritize the forms or phenomena involved, but simply to draw up a catalogue that had previously been interpreted in terms of either geological context or climate context. 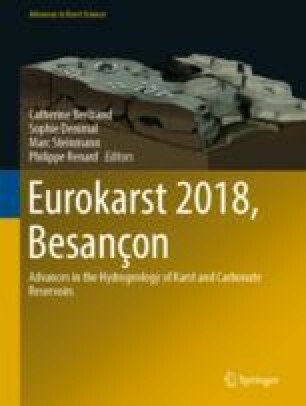 Mangin’s scientific contribution to the knowledge and study of karst and its aquifers is analyzed and placed within the broader framework of karst studies.